Can you believe another season of “Castle” is almost over and he and Becket are still not ‘together’? Fans are frustrated and justifiably so, but in the finale episode Castle finally comes clean and tells Becket exactly how he feels about her. Of course, we don’t know if there will be any wedding bells in the future for these two, but at least there is a start, a hope and the promo video shows Becket planting a kiss on someone, hopefully it’s Castle. Holy crap! I can’t believe he told her all that. Now we are left wondering, what the heck is her response? Does she return the “I love you”? I’ll tell you one thing, if she doesn’t, then I think this will be it for Castle. The finale is focused on Becket’s investigation, but there is a bit on Alexis’ graduation, here are five promos to give you just a little spoil of the final episode for season 4. In the first promo, Beckett and Castle are talking about graduation and we get to see a little ‘spark’ of chemistry between them, which we all love of course. The second promo talks about how the Montgomery house was broken in and important files are missing, but the thief is dead. 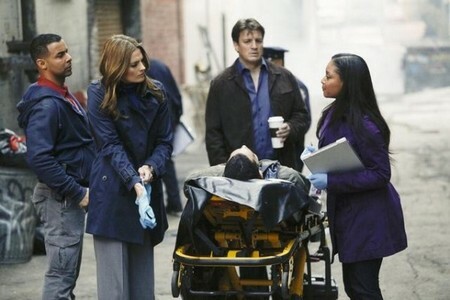 Esposito is worried that this is not a coincidence, and Becket wants them to look into the victim’s past. The third promo shows Becket wanting to be reassured by Castle that this case had nothing to do with her mother, but she knows it probably does and it is only a matter of time before they come to kill her as well. In the fourth promo Ryan wants to come clean with Gates, but Esposito explains that she would just send Becket home and they all know that that would not stop her from working on the case, at least in the precinct, they can keep an eye on her. In the final promo Alexis is upset that everything is changing and she is afraid of moving on. “Castle” creator Andrew Marlowe had this to say about the finale: “Castle and Beckett leave the finale knowing how they feel about each other and dealing with the ramifications of what that means” Wow, what do you think about that? I just hope all of us die hard fans get our ‘happily every after’ with Castle and Becket, it’s been too long already and they need to do more than just hold hands. Sound off your comments below, let us know what you think about the finale and don’t forget to come right back here on Monday night for the full recap of Season 4’s finale.